I am writing to express my thanks for the sponsorship provided by Dowling & Neylan to support me in furthering my dance career. I really do appeciate this assistance as I have accepted a place in the New Zealand School of Dance for 2011. I am hopeful that this opportunity will assist me in achieving my goal of performing in Europe at some time in the future. 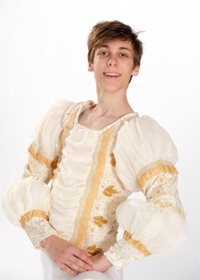 Coincidently I am performing the lead male role in the ballet "Coppelia" on Saturday 27th November at 2pm at Nambour. This performance is being presented by Deborah Preece and Richard Leader from Peregian Springs Dance Centre.